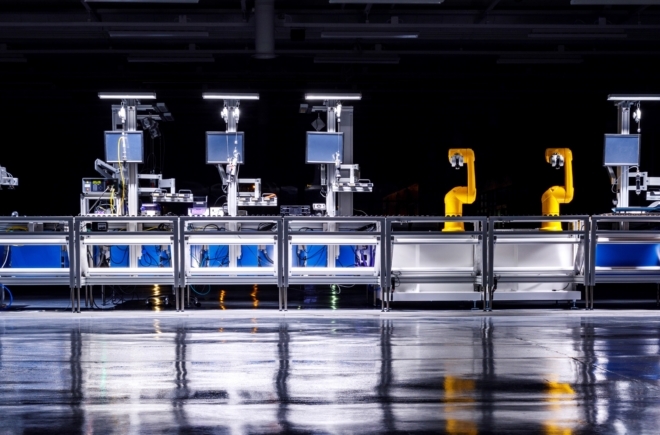 The engine of our Smart Factory is a groundbreaking modular assembly system. This allows us to handle products for multiple partners simultaneously with one and the same process. No such system existed yet, so we created one ourselves. The advantages are endless: maximum scalability and 100% flexibility in volume and variation. And we share the costs, that helps too. Home sharing in manufacturing! The Cubicel© is the foundation of our unique assembly concept. Cubicels are standardised workplaces with intelligence built in that can be combined like Lego to form a complete assembly line. Using standard units we can set up a custom assembly process in no time. There are Cubicels for pick & place, testing, packaging, et cetera. Scaling up, or instead, scaling down? No problem. Simply add or remove Cubicels to increase or reduce capacity. Do you want to move your manufacturing to a different location later on? This too is possible. Our system is completely mobile. Technologies Added was the lounging customer for the Roxy, a pioneering robot application from Engie. The Roxy is a robot that our people can program themselves. That means we can quickly adapt the robots’ functionality or move them to a different spot. 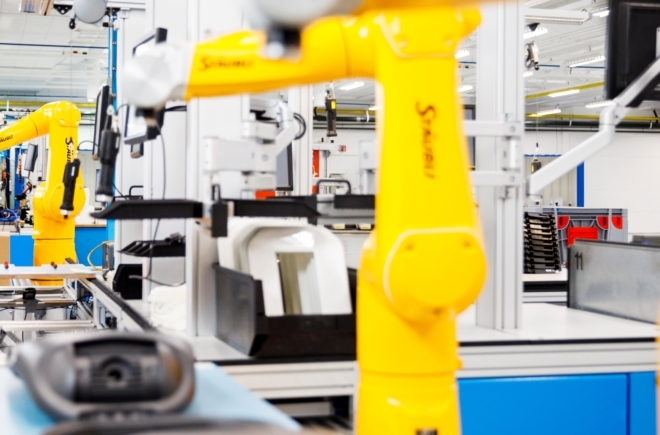 In truth, people and robots work together in harmony in our Smart Factory.People have different talents from robots, and combining them is what produces the best results. Data-driven Manufacturing! Technologies Added is completely ready for Industry 4.0. Monitoring, analysis and improvement as a consistent routine for manufacturing that’s flawless, customer-specific if necessary (n=1), with ultra-fast lead times. Everything is digitised and placed in an online environment. Not in Emmen? You can still be present virtually; that’s how ‘your own factory’ works remotely. Would you rather control your own manufacturing? With our multi-stakeholder Smart Factory, you can. 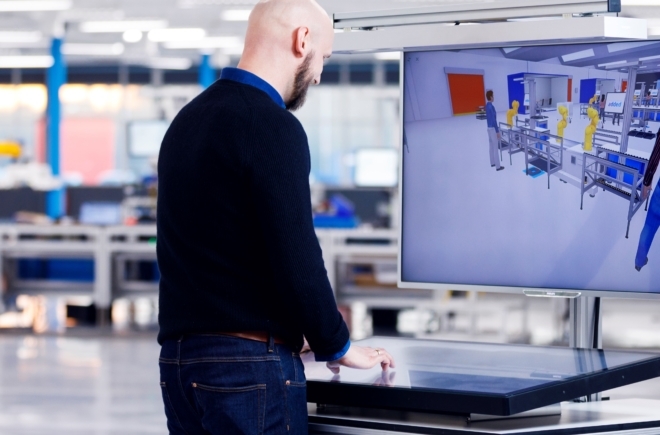 To facilitate visualisation, a comprehensive digital copy of our Smart Factory exists: our Digital Twin. All the building blocks have been included, from Cubicels to the logistic systems. This helps us visualise processes, but also with planning and analysis. A development environment that matches the conditions at a ‘real’ Smart Factory as closely as possible in order to achieve better performance early on. Our system offers endless architectural possibilities. High-volume products get their own assembly line. For smaller batches, several products will share a line. It’s all about synergy and scale. Our ambition? 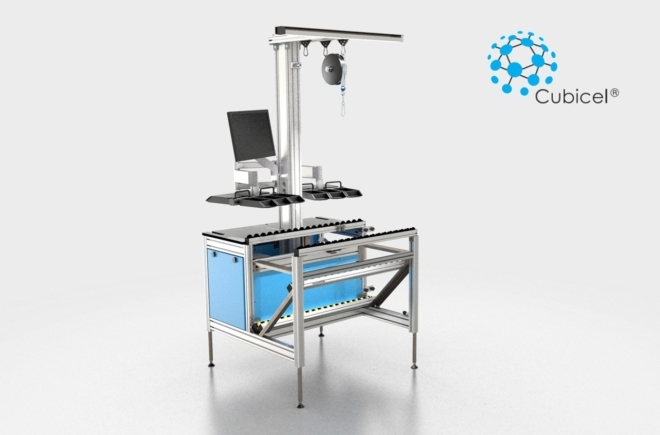 A Smart Manufacturing Grid to assemble products along various routes. All jumbled together.